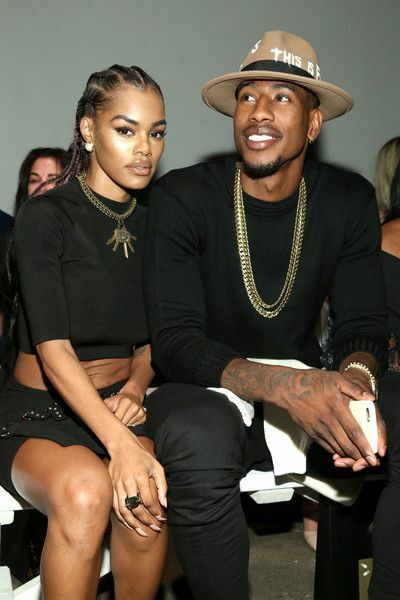 Teyana Taylor recently released her K.T.S.E. album under the direction of Kanye West. But, it hasn't been smooth sailing for the singer. She was supposed to release an updated version of the album with the rest of the songs that were left off the first release (which happened days later than it was supposed to), but it doesn't look like that's going to happen. “Ok, look [laughs]. Listen, I ain’t finna sing about nothing that I ain’t been through. Ok? My album just is what it is,” she said in a recent interview on Big Boy's Neighborhood. Apparently, threesomes are her and Iman's thing. It seems testing new waters in their marriage is more her idea than his. I the "Hit The Floor" actress opened up about trying new things with her husband because with marriage there are no limits. The wife and mom made it clear that it's not always her husband coming up with new bedroom ideas. She enjoys it just as much if not more. While threesomes are something she and her husband are into, that doesn't mean it's for everybody. And she made it clear to never do anything you don't want to in an effort to keep your partner.